William Forrest "Wild Bill" Hutchinson (December 17, 1859 – March 19, 1926) was a professional baseball player. He was a right-handed pitcher over parts of nine seasons (1884, 1889–1897) with the Kansas City Cowboys, Chicago White Stockings/Colts and St. Louis Browns. 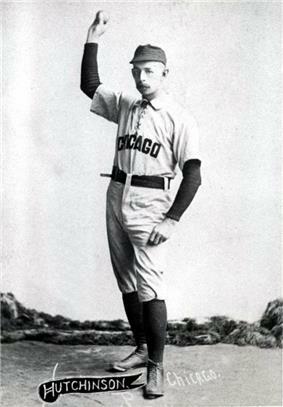 He was the National League wins leader for three straight season (1890–1892) and strikeout champion in 1892 with Chicago. For his career, he compiled a 183-163 record in 375 appearances, with a 3.59 ERA and 1234 strikeouts.